Two views of the Coniston and Kentmere Fells, two of Killington Lake and one of the Howgill Fells. Killington lake, 17 September 2016 1. Looking north east towards the Howgills. 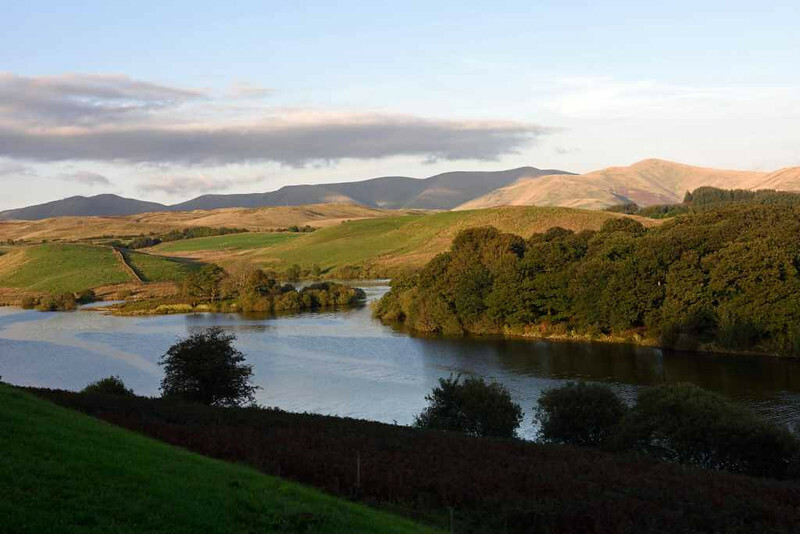 The lake is a reservoir built by the Lancaster Canal in 1819 to supply water to the canal. It became railway property after the London & North Western Railway bought the canal in 1885.